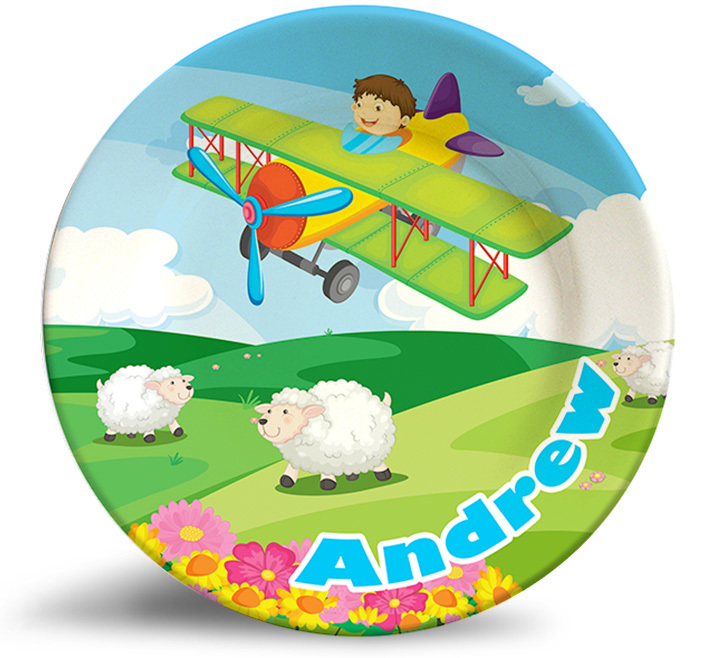 Personalize this adorable Boy Flying Plane Fantasy name plate for kids! 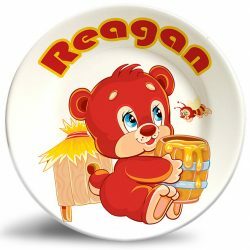 The “Boy Flying Plane” personalized melamine dinnerware plate is dishwasher safe and will never fade. A perfect way to make meals more fun to eat for any young boy! Thank you so much for being a loyal customer, and for bringing this to my attention. I’ll look into it right now! 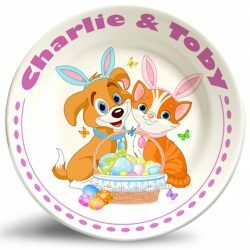 I just received my plates for my 2 boys and they look so great!! I can’t believe they are identical to the one my parents bought me almost 30 years ago! So special, thank you. 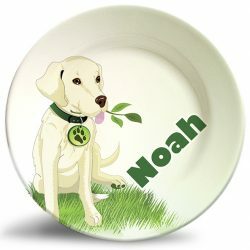 I attached a picture of my plate – it still gets used and is in such great condition. Talk about great quality!